From the earliest efforts to rendering realistic images in computer graphics, applications of perceptual insights have been critical for achieving effective results efficiently. The field inherited from the design of displays the use of trichromatic color theory, models of human contrast sensitivity and models of temporal sensitivity to simplify the spectral, spatial and temporal sampling required for rendering. Computer graphics rendering has made progress by further exploiting additional models for isolated effects documented in the human vision literature. This presentation will review these efforts. Future progress however depends on studying and modeling more complex effects such as the perception of textures, the perception of texture in context and temporal variations within a scene. Perceptually based rendering will also need to keep pace with advances in displays that are being designed with new capacity for color fidelity and dynamic range. Developments in augmented reality and in 3D fabrication also present new problems and opportunities. There are many challenges in running the psychophysical experiments needed to obtain the data for models required by improved techniques in perceptually based rendering. Researchers in the field need to consider the role and limitations of crowd sourcing experiments in combination with traditional controlled laboratory experiments. Holly Rushmeier is a professor of Computer Science at Yale University. She received the BS, MS and PhD degrees in Mechanical Engineering from Cornell University in 1977, 1986 and 1988 respectively. Between receiving the BS and returning to graduate school in 1983 she worked as an engineer at the Boeing Commercial Airplane Company and at Washington Natural Gas Company. After receiving the PhD she served on the Mechanical Engineering faculty at Georgia Tech, the computing and mathematics staff of the National Institute of Standards and Technology, and was a research staff member at the IBM T.J. Watson Research Center before taking her current position at Yale. She has worked on a variety of data visualization problems in applications ranging from engineering to finance. 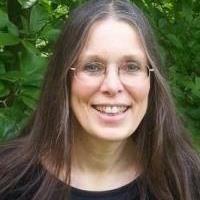 She also worked in the area of acquisition of data required for generating realistic computer graphics models, including a project to create a digital model of Michelangelo‘s Florence Pieta, and the development of a scanning system to capture shape and appearance data for presenting Egyptian cultural artifacts on the World Wide Web. At Yale Prof. Rushmeier‘s research includes model the appearance of materials for graphics rendering and industrial design, sketching techniques for conceptual design, and shape and spectral data capture for applications in evolutionary biology and cultural heritage. Dr. Rushmeier has served as Editor-in-Chief of ACM Transactions on Graphics, as co-Editor in chief Computer Graphics Forum, and as well as the chair of numerous conferences and workshop committees. She is an ACM fellow, a fellow of the Eurographics Association, and received the 2013 ACM SIGGRAPH Computer Graphics Achievement Award. Abstract: Harmonic B-splines are defined by Green’s functions of the Laplace-Beltrami operator. Like the basis functions of conventional B-splines, they are (approximately) local and non-negative and satisfy partition of unity. Moreover, harmonic B-splines afford progressive update of fully irregular knots, free of degeneracy, without the need of explicit parameterization, making it ideal for a host of many graphics tasks on $R^2$ and 2-manifolds. In this talk, I will first show case several 3D applications of harmonic B-splines, such as data fitting/interpolation and hierarchical decomposition. Then I will introduce a new Poisson solver that supports random-access evaluation. Finally, I will apply the Poisson solver to Poisson vector graphics and demonstrate its potential for authoring and vectorization. This is a joint work with F. Hou, Y. Liu, S. Hu and H. Qin. Dr. Ying He is an associate professor at School of Computer Science and Engineering, Nanyang Technological University, Singapore. He received his B.S and M.S. 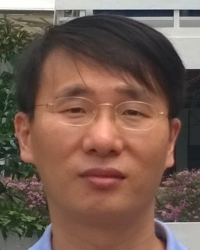 in Electrical Engineering from Tsinghua University in 1997 and 2000, and PhD in Computer Science from Stony Brook University in 2006, respectively. His research interests fall into the general areas of visual computing and he is particularly interested in the problems which require geometric analysis and computation. His recent work has focused on discrete geodesics, geodesic Voronoi diagrams, (bi)-harmonic B-splines, and their broad applications. For more information, please visit http://www.ntu.edu.sg/home/yhe .